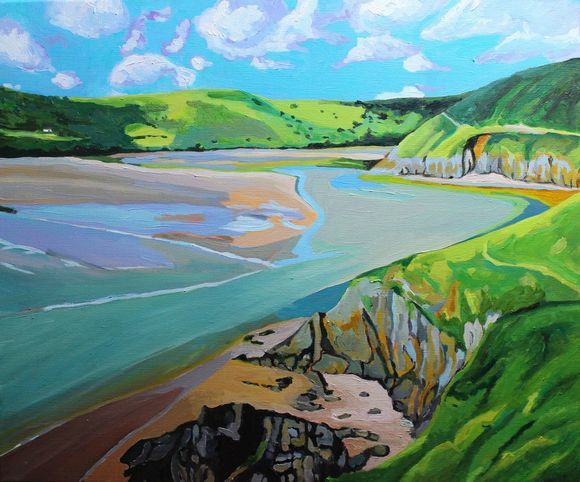 Published August 8, 2017 at 580 × 482 in Is it Three Cliffs Bay or Three Cliff Bay? View inland from one of the Tors at Three Cliffs Bay. Oil on canvas painting. 50cmx60cm.